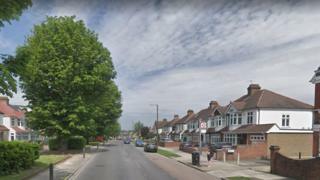 A man and a woman in their 70s have died in a crash involving a van being pursued by police in south London. The crash happened on Footscray Road, Eltham, just after midnight. The man and the woman, who were in another car, died at the scene. The driver of the van was arrested and taken to hospital. He was held on suspicion of driving while over the alcohol limit, driving while unfit through drugs and death by dangerous driving, the Met said. The incident has been referred to the Independent Office for Police Conduct, the force added. What did last night’s Brexit votes mean?